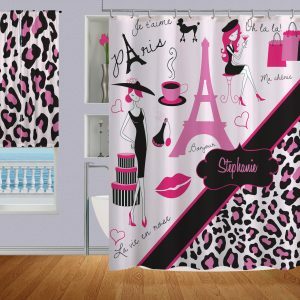 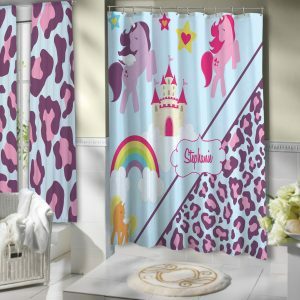 Fashion Girls Pink and Black Shower Curtain, with Tan Damask. 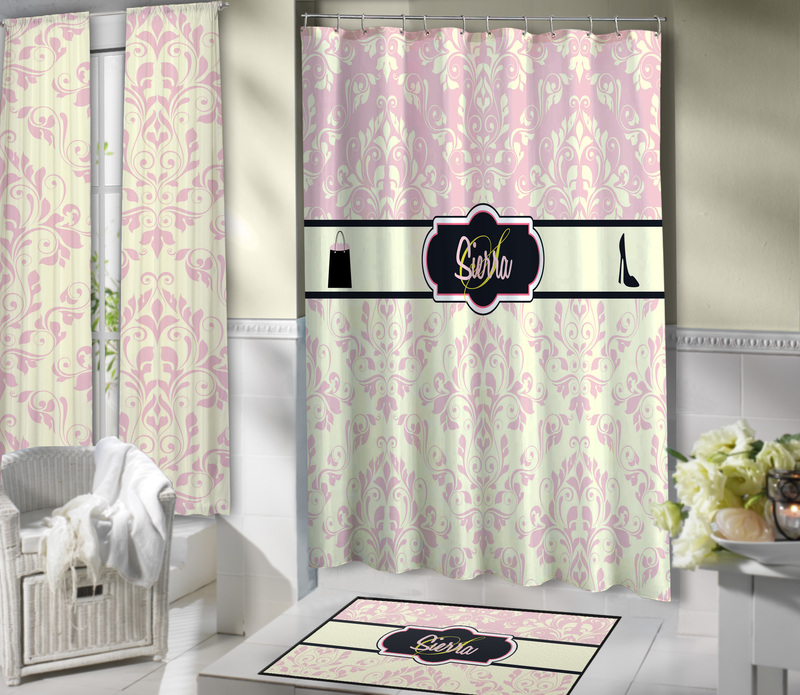 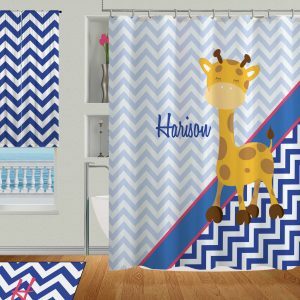 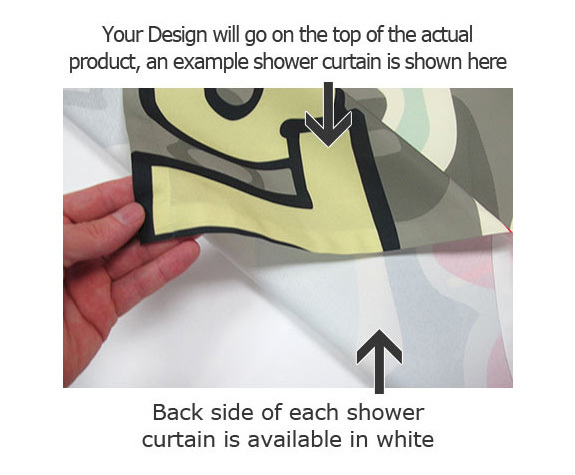 Personalized Fashion Shower Curtain on a Tan Damask Background with Pink and Black Accents. Border has Shopping bag and High Heels to go with the Victorian Style shopping theme.